Nuscheli bunting - who would've thought! It's very homemade, and definitely improvised. 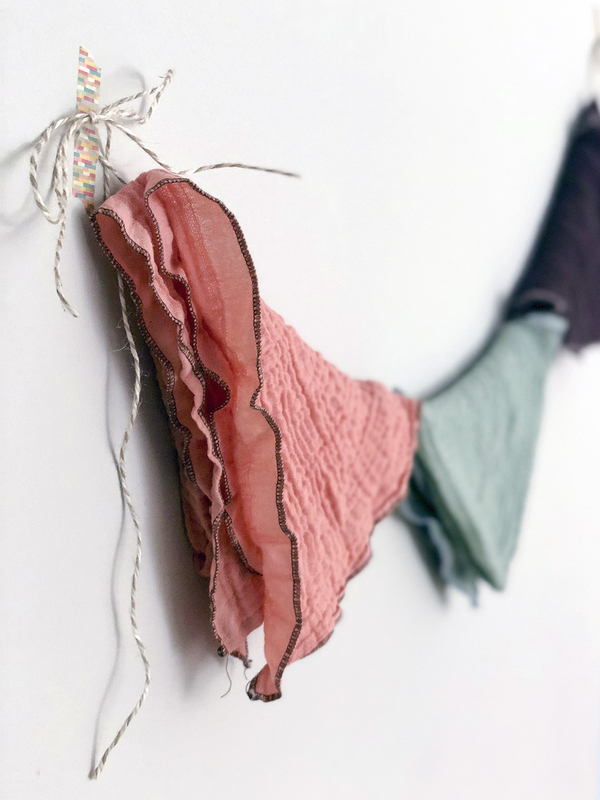 Using Nuscheli scarves for bunting and as decorations for a first (or second or third) birthday is not necessarily the most expected way to utilize our cloths. But (! ), sometimes its about looking around at what you already have, and making something new with it. It's another way to be more sustainable in your everyday life. All it takes is some discipline (it is always tempting to shop for new cute things, right?) and some thinking and tinkering. And in the end... it looks really cute and cheerful! But best of all, there is no waste with this Nuscheli bunting, because the Nuscheli get put right back to use after the birthday party... to clean up the cake-smears off the high chair for example. Second to best is that your children learn an important message about how to be thoughtful, creative and less wasteful. You are their role model. You have to be the change and carve a path for your children to follow. At first I wondered how the kids would react to this homemade bunting and the response surpassed my expectations. Ray, 3, was especially thrilled to see the Nuscheli as decorations! She asked that we decorate her room now... so there may be a follow up post soon! We used twine and washi tape attached to the wall. As for the Nuscheli, we folded them in half both ways and then draped them over the twine diagonally. Simple! Let us know how you would use Nuscheli to decorate for a party! !